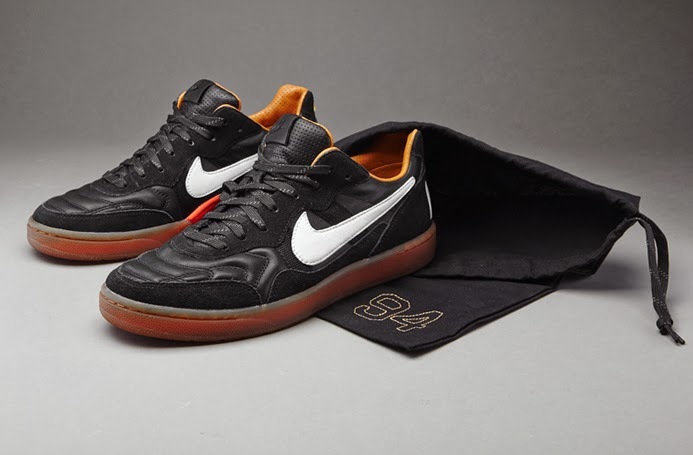 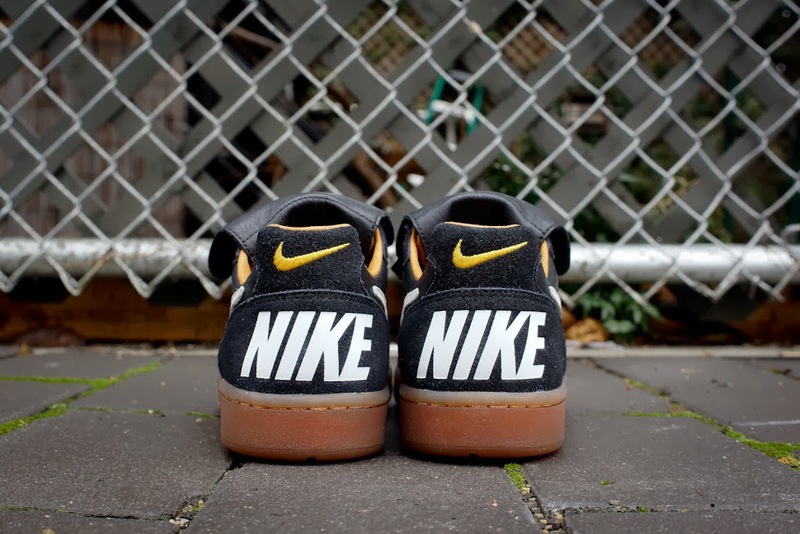 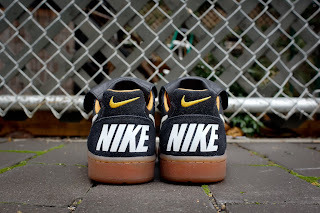 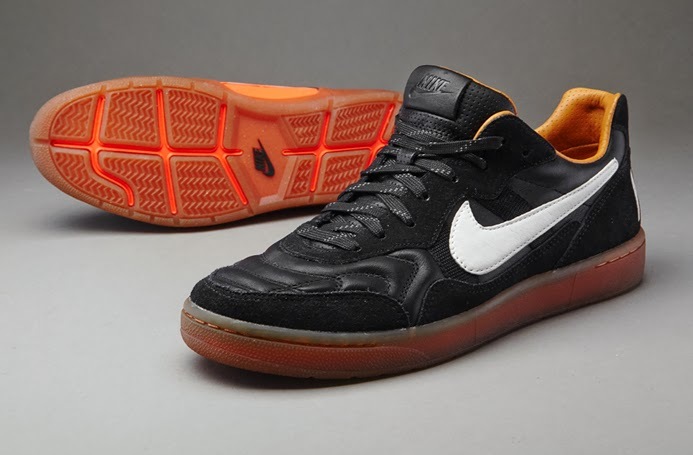 Today brings another look, by way of official, Nike-furnished images this time, of the Nike Tiempo 94 Mid, the latest collision of classic soccer style and Nike Sportswear’s fashion-forward sartorial sense. 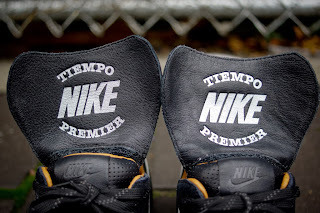 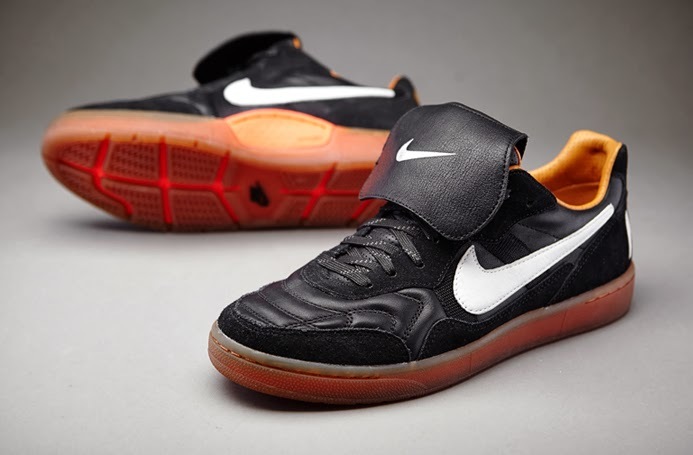 Inspired by the iconic Tiempo Premier soccer boot, worn by ten players during the final match of the 1994 World Cup, the off-pitch Tiempo 94 sports a premium black leather upper with overt stitching. 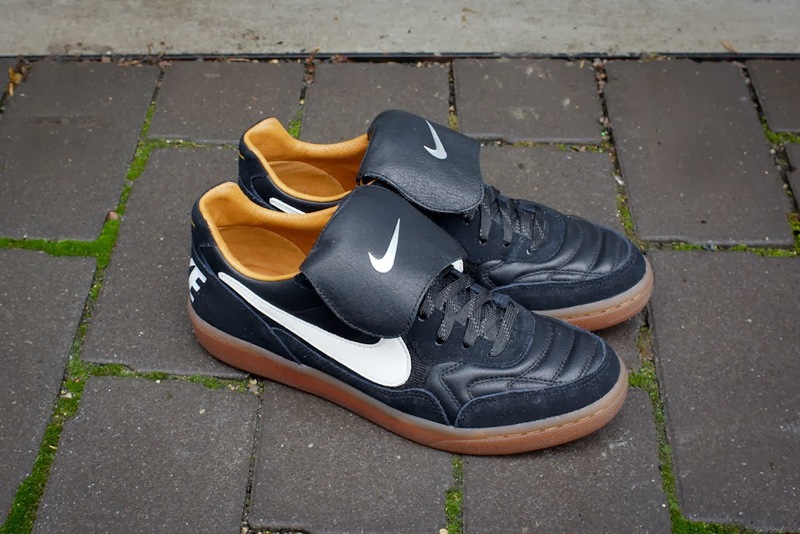 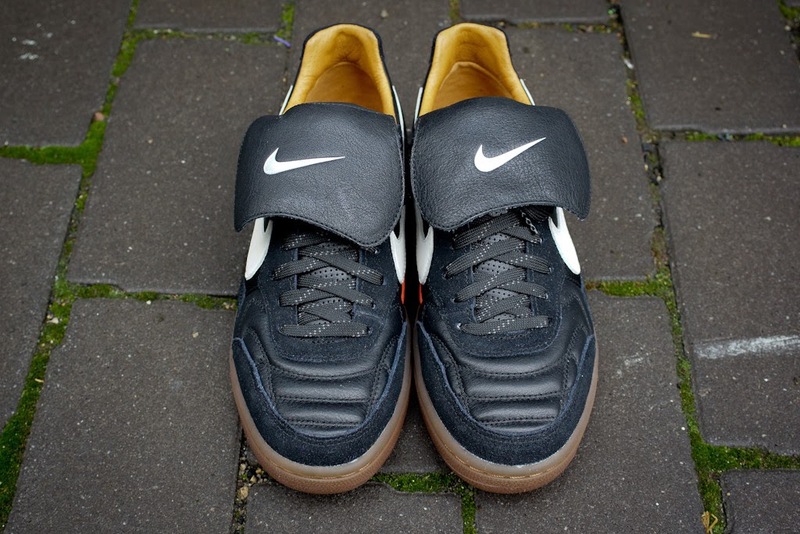 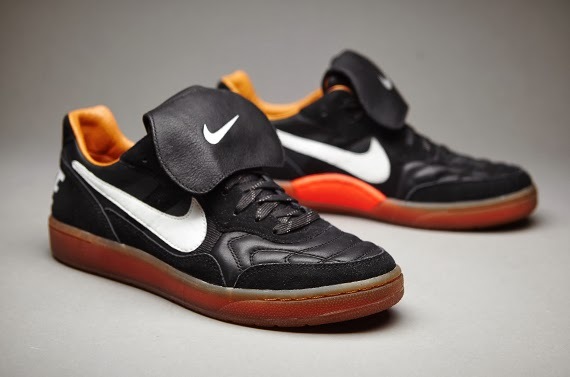 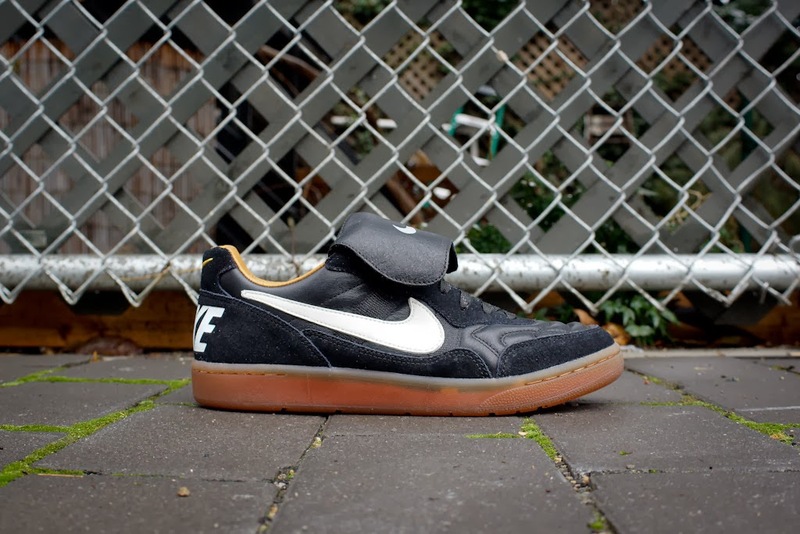 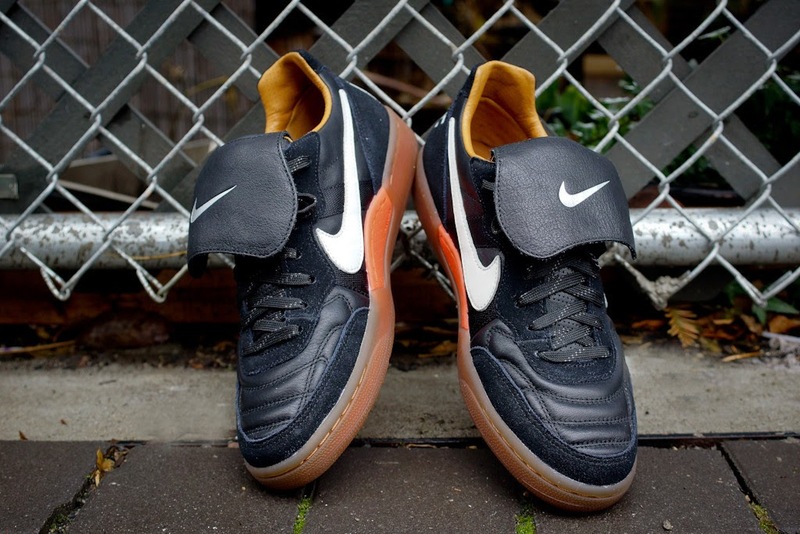 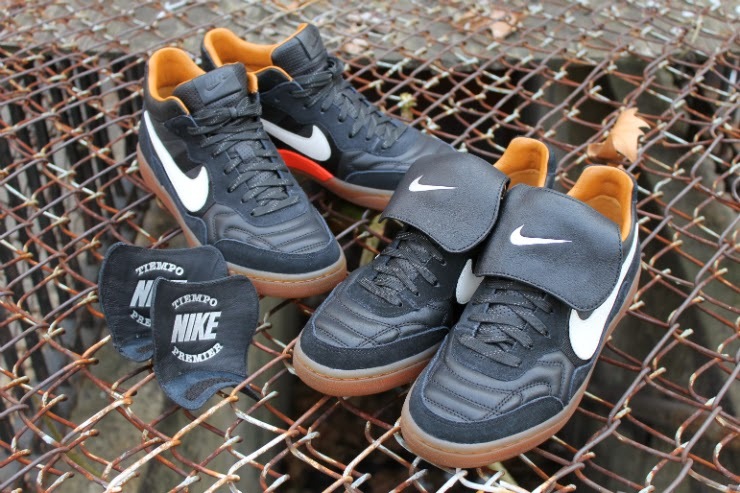 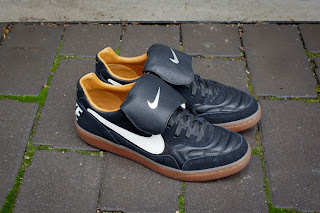 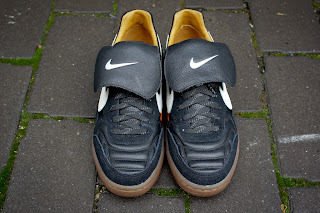 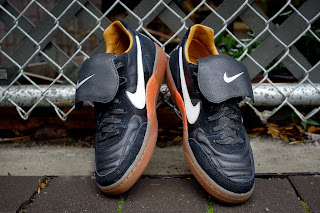 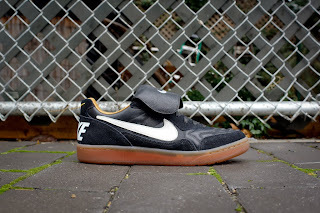 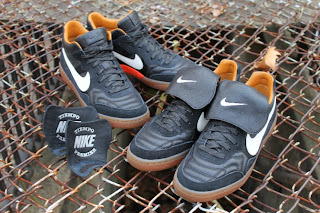 A classic fold-over soccer tongue furthers the football fashion, although it’s also removable, while suede overlays match up directly with that original Tiempo Premier. Beneath, the soccer cleat-plate has been replaced with a gum cupsole, cushioned with colored Phylon foam and set above exposed flex grooves, maximizing comfort and allowing for a more natural range of motion.